The NFL will implement a new helmet rule this season in an effort to protect players from dangerous hits on the field. According to Tim McManus of ESPN, the Philadelphia Eagles were given a presentation by NFL referees this week that left multiple players frustrated and confused. The new rule penalizes a player 15 yards, and can potentially fine or eject a player, for lowering his head to make contact with an opponent with his helmet. According to McManus, officials showed players clips of hits that are now considered illegal under the new rule. 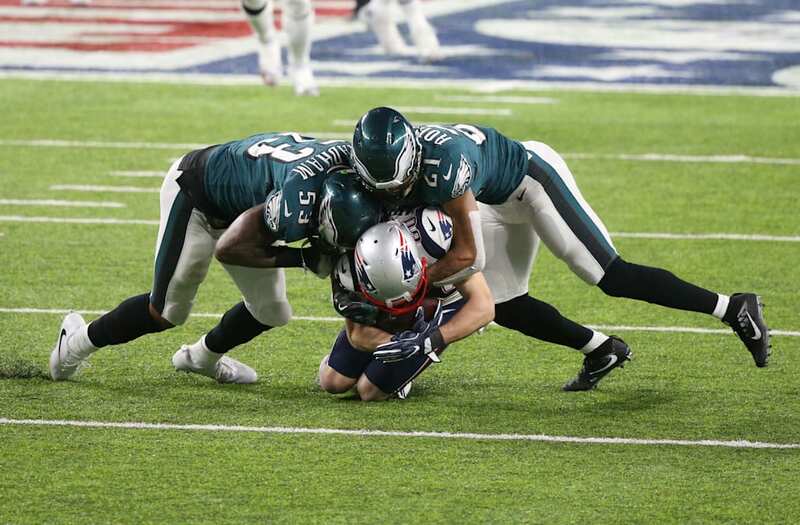 Some of them — including Malcom Jenkins’ massive hit on Patriots wide receiver Brandin Cooks in the Super Bowl — left both players and refs confused on how to rule them. Now, the new rule is meant to be a positive thing — as it should help keep players safe and better protected from big hits. And with concussions and other related injuries a major concern, this rule is a good move. However if the referees are struggling to understand the rule themselves and struggling explain to players how it works, it could end up causing more harm than good. Now, it is early. Training camp is just getting started across the league. Eagles coach Doug Pederson also told ESPN that both he and his staff plan on making the new rule a “point of emphasis” during meetings and on the practice field throughout training camp — and that the new rule had been made clear to him — so that should help the confusion, too. Hopefully the Eagles, and the rest of the league, can get the new rule down before the start of the season.